The first slide gloves were gardening gloves that had kitchen cutting board cutouts glued to them. Sounds sketchy but they did the job and still will do the job if you think they are a good option. Thankfully, between now and then people experimented with different materials and found what would work best for our needs. Today I talk about slide gloves that you can get and what makes them good. I also include how to make your own, it’s easy once you know how. What is the best material for slide gloves? What materials are slide pucks made from and do they matter? Does the shape of the puck matter? This is a simple leather glove. 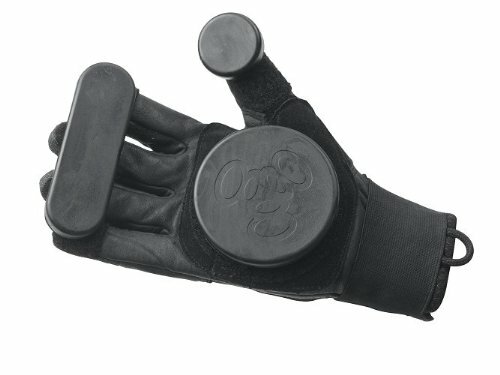 It has a velcro on the palm and fingertips so that plastic pucks can be attached to it. The fingertip velcro connects to a poly-urethane (PU) bar that rests across the fingers. There is also a poly-urethane puck for the palm. In practice, the PU fingertip bar is super useful for beginners. Beginner longboarders always drag their fingers as they slide which often tears the fingertips of gloves. This stops that, so it is critical if you want to extend the life of your gloves. The glove has velcro straps which would wrap around your wrist and would allow you to wind it as tight as you want it to be. Super useful if you have big or tiny wrists. Because it’s made from leather, the glove will provide the best protection and it will also last a pretty long time. The leather will also keep your hands warm which is really nice for skating in winter or in colder climates. However, using leather also makes the glove a bit more expensive, and with only a PU puck, the cost doesn’t really make sense. PU pucks are of lower quality. I recommend this slide glove if you are going to eventually replace the Palm puck with one of higher quality. They are good beginner slide gloves, but the pucks hold them back. Check them out on Amazon.com. POW! Coming at you from the most well-known longboard company. You have the Loaded Freeride gloves. These guys are known for having high-quality gear so you know this glove is gonna be good. The glove is in a similar style to the Triple 8 slide glove, with a finger bar, thumb puck, and a palm puck. The major difference is that these use UHMW-PE pucks – what does that mean? More on it in the guide below but you should know that it is awesome. It is the best material for slide pucks. 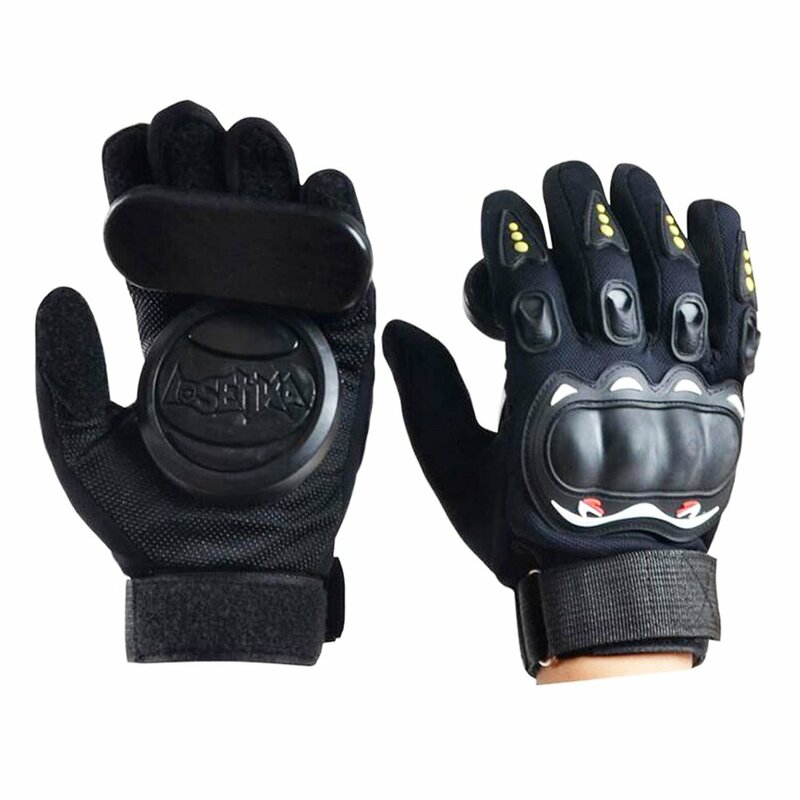 The slide glove itself is made from a mix of materials (cordura, kevlar) to ensure durability and strength. It also has reflective parts to ensure you’re seen when skating at night. Having being made in California, the slide glove is made to be breathable to help combat hot weather and sweating. So it is perfect for summer and skating in them hot climates. 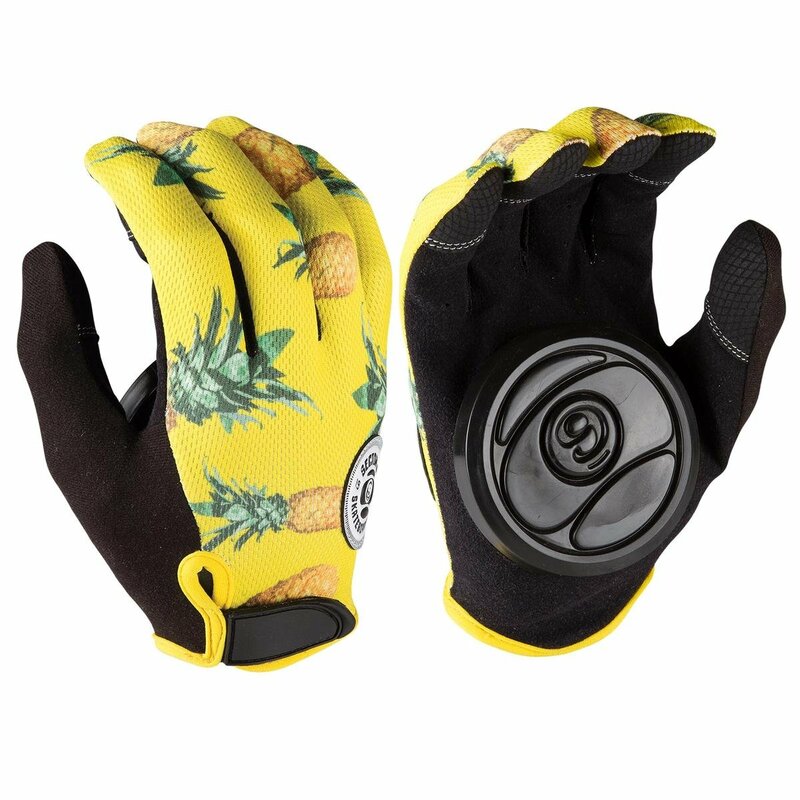 As extra features, the glove even has Poron padding on the palms and knuckles for extra vibration absorption and comfort. In my opinion, these are the best beginners slide gloves. A bit on the pricey side yes, but you are paying for quality and you are getting your money’s worth. Check them out on Amazon. 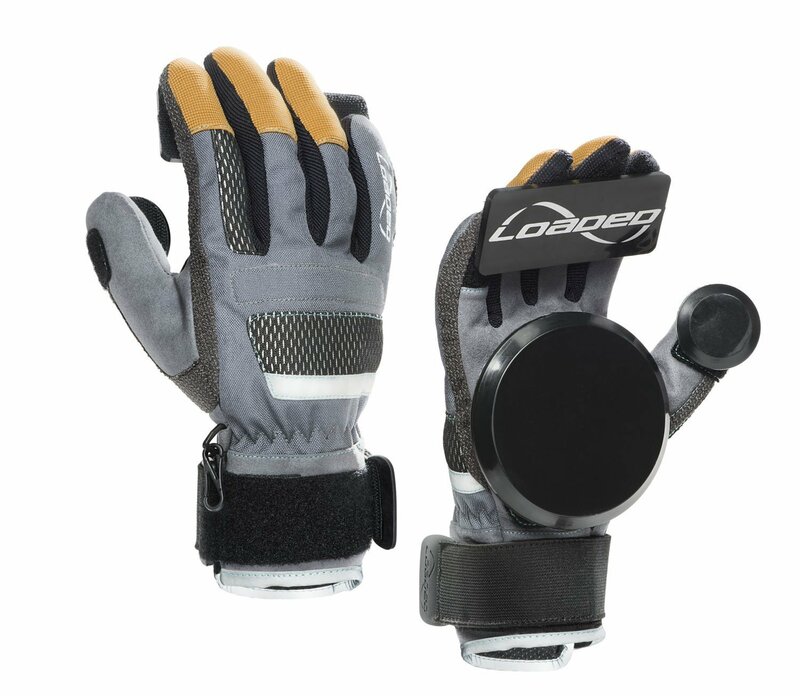 A more affordable option, these slide gloves only come with the palm puck and no finger pucks. I only recommend them to advanced beginners looking to try something new and get used to a glove without finger pucks. You have your basic glove with kevlar reinforced fingertips. It has a short basic wrist strap and comes in sizes from XSmall to XLarge so everyone from kids to adults can get the right size for themselves. The Kevlar reinforced fingertips will ensure some durability against the fingertips getting drag along the ground. They will tear eventually if they are continually dragged so it’s advised you keep them off the ground. They have some cool color themes and graphic options available. My personal favorite is the pineapples. Kinda nice to have that level of personalisation. Finally, the puck is made from Delrin. This material is better than standard PU but not as good as UHMWE. It does make great slide pucks though. Check these gloves out on Amazon.com. I think this glove is great if you want to learn how to slide with your fingertips up. Alternatively, you can get a slide puck with the finger bars and just skate without the bars. That works too but won’t be so great because it will have velcro on the tips. Tt will not be as durable against abrasion and won’t grip the board well (if you want to grab rail when sliding). But yeah, the Triple 8 gloves are similarly priced and are a decent alternative. I only recommend these if you truly broke, lazy and want a no fuss option. To be honest, my first slide gloves weren’t so dissimilar to this and I definitely don’t miss how badly they slid. First things first, the glove itself is pretty ok. It has padding and extra protection in all the right places. It will be solid and won’t tear through if its fabric catches on anything the first few times. The glove is not breathable so it will be uncomfortable to wear for long periods of time, especially in hot environments. This might be nice in colder regions, or for early morning skating. The pucks on it are made from POM and will be pretty bad for sliding. In fact, if you buy these gloves and replace the pucks with UHMW ones, you’ll have a decent combo on your hands. Check it out on Amazon for more info. These slide gloves will be ok to learn on and use the first few times but once you try a higher quality option they won’t be good enough for you anymore, trust me. But yeah, they are OK for beginners. If you want a higher quality option I highly recommend the Loaded slide gloves. They are more expensive but are definitely worth the money. If the above options are too expensive, or if you are a person who likes making their own stuff like putting together their first longboard, you should build your own slide gloves. The materials on their own are cheaper and easy enough to put together. The first thing you need is a glove. Any old glove would do but if you can get gloves that are abrasion resistant they would be perfect. Check out my suggestion on Amazon. But yeah, even simply leather gloves would do. The next thing is the velcro. Heavy duty velcro is best and it will hold on to your slide pucks pretty easy. If you buy strips and superglue/hot glue/sew them to the glove it will be more than adequate to hold them in place. Especially if you combine more than one holding method. You can get some velcro easily on Amazon. Finally, the slide puck. 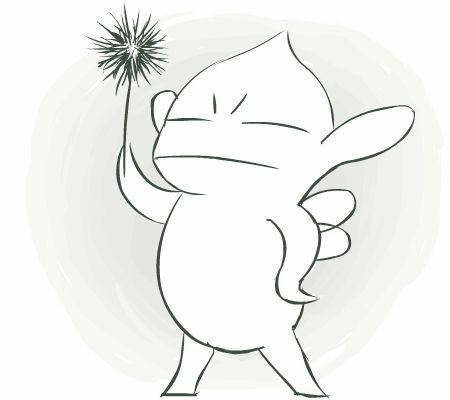 I’ve suggested a popular option called Ojoom. They are slippery UHMWP option that last long and don’t catch on edges. What more do you need a puck? 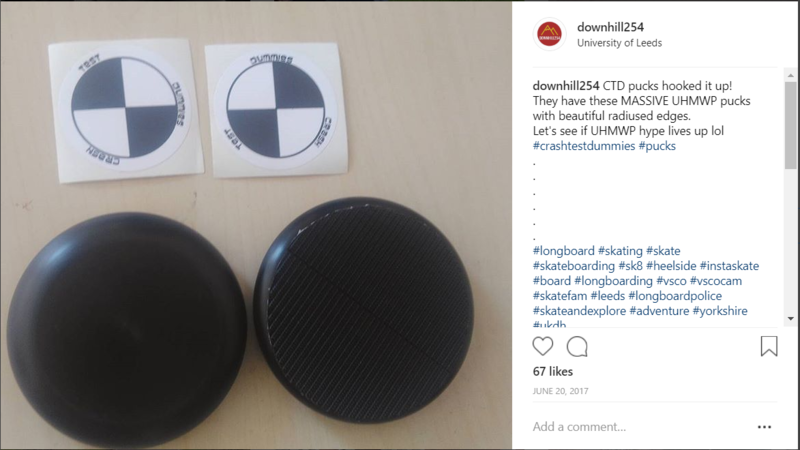 You can also make your own slide puck by buying a sheet of UHMPE, cutting it and sticky velcro on it. Unfortunately, you’ll end up with square puck edges which are bad for sliding (I go over why below). If you have access to a bevel you can round the edges for optimum sliding. Also, one sheet could literally last you a life time (and if you’re smart you could sell some) so it’s a dece investment. 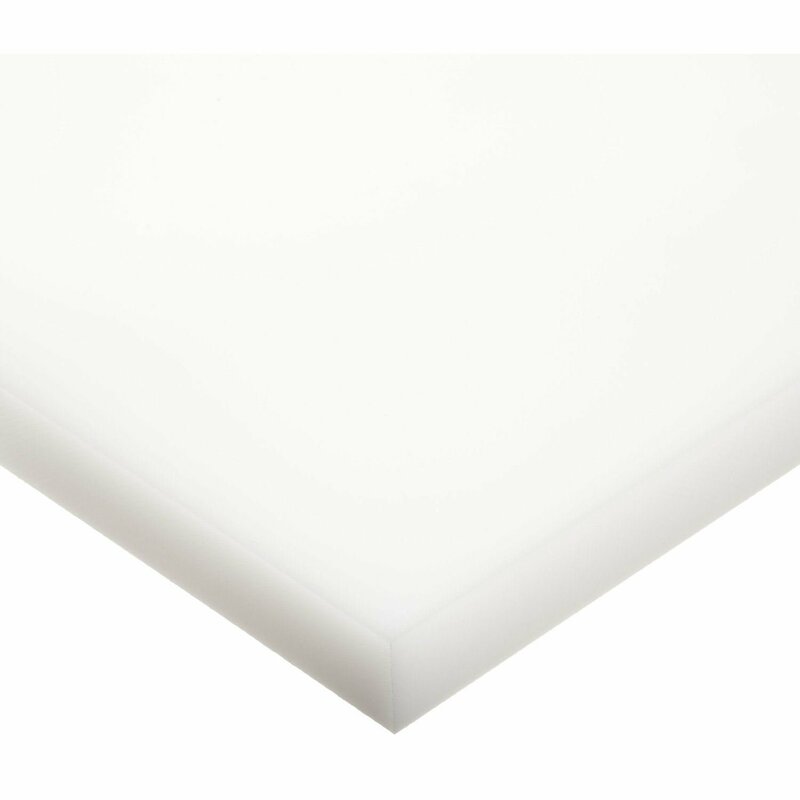 Get your sheet of UHMPE on Amazon here. It’s a bit time consuming to put together your own slide glove, but it is more rewarding. Leather – When it comes to durability, strength and protection. Nothing beats leather. It has good abrasion resistance and glides off the pavement instead of catching to it and tearing. It can definitely take a beating and because of that, it will also last a long time. However, it is expensive and because your hands can get uncomfortably hot when you are using them. This won’t be a problem in cold climates and you probably want something to keep you warm. Some gloves do have holes for ventilation and they help heat escape to keep your hands cool. I highly recommend leather gloves for downhill riding and if you’re going fast because if you fall going fast, they will protect you the best. Kevlar/Cloth – These are the more affordable option and can last a long time if you take care of them. The Kevlar will protect you well and it will resist tearing better than any ordinary materials. The cloth materials will be breathable and easy to maintain, perfect for both cold and hot weather riding. I recommend these to beginners. Why? Starting out you will definitely ruin whichever gloves you use, having something cheap and easily replaceable will be best. Freeriders and people doing tech slide can also benefit from these. The gloves get rid of heat and moisture okayish, so you won’t mind walking up the hills in them, but they will be hot. In general, all slide gloves are hot but these will be less so. 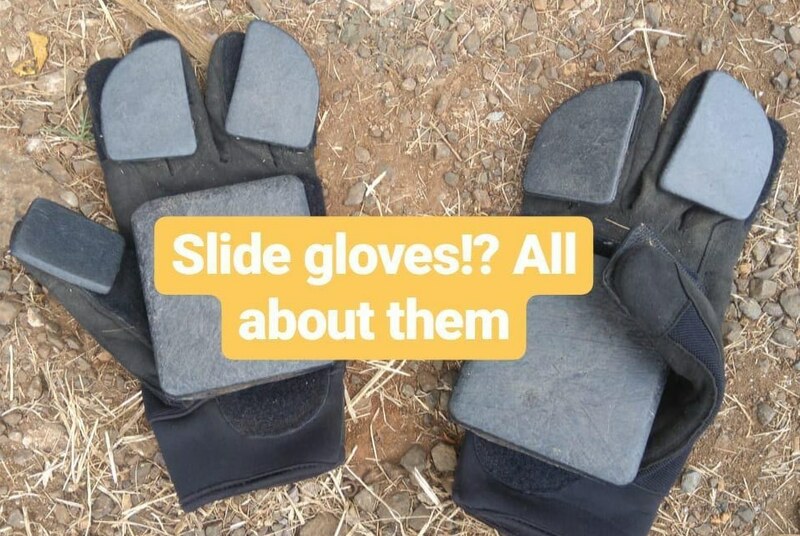 To be honest, if you’re not too fussed about the material, any slide glove would do. Literally any, as long as you’re comfortable and it works for you. Pictured to the right is my current “high quality” slide gloves. Anyone want to buy a new pair?? Also, I cut off the fingertips cause they got shredded and just looked bad. However, the higher quality slide gloves are pretty great, so if you can afford them go for it. Also, if you’re chasing the safety aspect, the leather is a clear winner. All things considered, the most important part of the slide glove is the sliding puck in my opinion. Yes, they 100% do matter and can make a big difference in your riding and in your riding experience. 1. The cheaper sliding gloves use PU – Polyurethane. It’s a cheap and affordable plastic to manufacture and cut. It wears really fast and doesn’t last well at all, you could go through a puck in a day or a month depending on how much you are sliding. Plus they have a habit of melting when you slide at really high speeds, which is pretty bad lol. I only recommend it if you’re budget is extremely tight. 2. The next best thing is a material called Delrin. This is what the Sector 9 gloves pucks are made from. It has decent abrasion resistance, decent wearing and lasts from two to six months. They are a lot better than PU option and don’t melt when you slide at high speeds. They are pretty affordable but prices vary. 3. My favorite option and honestly the most cost-effective option, UHMW-PE (Ultra high molecular weight polyethylene) pucks. These pucks are made from the hardest, slickest and most abrasive resistant plastic available. They are a bit more expensive but last loooooong. They can last for months and months depending on how often you skate. I bought some 20mm CTD Pucks last year in May and they have lasted well into this year. 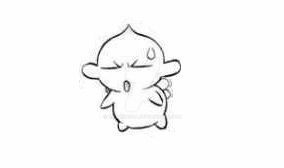 I have a couple mm left to go before I finish them. AMAZING durability from these things. They are super slick so they don’t grip at all as you slide giving you optimum control and they do not melt. It’s crazy, but these things are used at a high level in precision parts in industries and we are using them to do skids on our skateboards hehe. Check out the pucks when they were fresh from last year June. and look at them now. If that isn’t durability tell me what is??? How are slide pucks lasting longer than wheels lol? Yes the shape matters a lot. You want to look for slide pucks with beveled (rounded) edges. This beveled edge prevents the slide puck from catching the tarmac or floor as you slide along. Allows for a smooth sliding (more like gliding cause it feels like you’re floating haha). But if it’s unavoidable it’s ok if you use one. Just make sure you grab rail and put most of your weight on the board. My recommendation for beginners is the Loaded slide glove. When you start out, your fingers are not used to flexing as you slide so you will naturally put them down resulting in torn fingers ruining your gloves. The finger pucks prevent you from doing this, giving you the best experience as you start out. That room for error you need as you learn this new skill. If you need help getting your other gear sorted, check out my guide on picking your first longboard trucks. So congrats if you’ve made it this far, you now know a whole lot about slide pucks. I hope the info has been useful and you’ve been able to pick something that works well for your needs. Let me know if I’ve missed anything or if something is incorrect. Can always update it. If you want to support me, follow me on social media (any of the links below). Would appreciate any feedback on this or any request for any other articles/topics. Great info. I bought some cheap from China, £15.to get something. Then I saw some for £10. Worth buying some nice pucks for a better feel.